For over thirty years, Patricia Sullivan has been practicing the art of surrender. 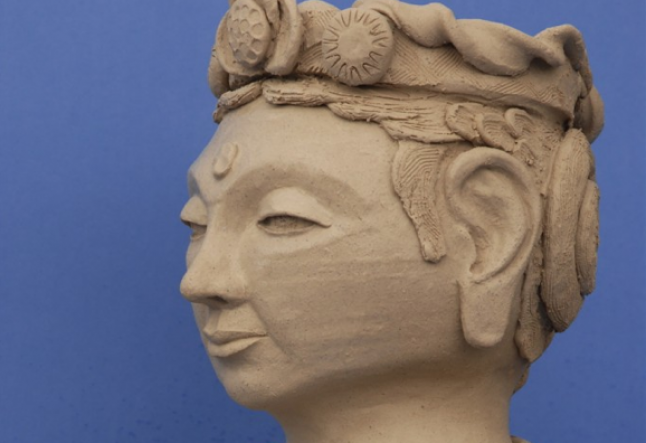 Through exploration and spiritual devotion, she not only moves into the most beautiful of asanas, but brings them to life in her sculptures of yoga poses and Buddhist and Hindu deities. In 1976 her life changed again when she first met BKS Iyengar. “I was immediately taken in by his level of detail and exuberance.” For ten years, Patricia traveled to India to study with Mr. Iyengar and his daughter Geeta. 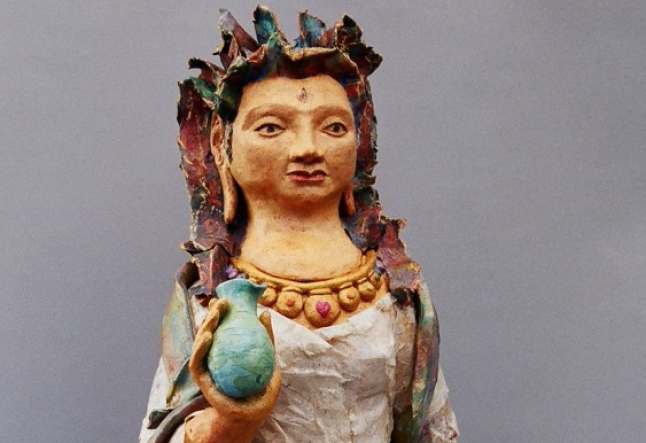 It was during that time that she began to develop another spiritual practice - the art of sculpture. 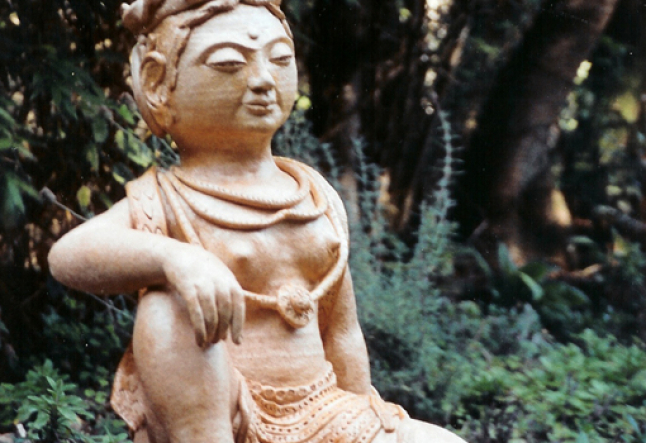 “I was a potter first, and then my sculpting started.” It was 1984, after studying yoga for almost fifteen years, that she sculpted her first series of yoga poses. Later, her art shifted into a new direction. “I started wanting to incarnate in the West some of the deities from the Hindu and Buddhist traditions.” In the 1990s, Patricia’s yoga began to change as well, and she began to study Zen Buddhism and Tibetan Yoga. 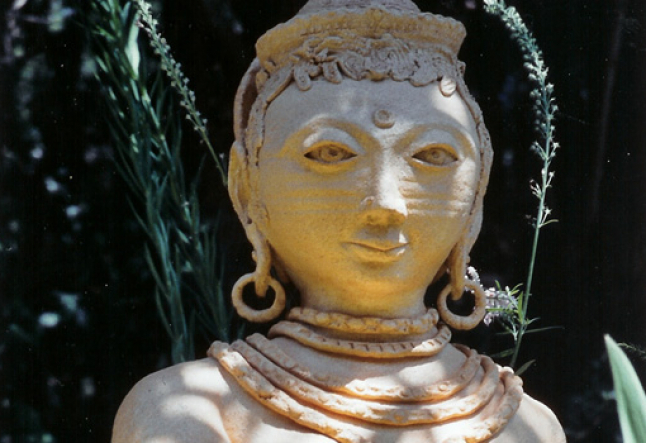 As a teacher at the Tassajara Zen Mountain Center, a monastic retreat center, her study of Zen Buddhism had a powerful influence on her teaching and art. Much of Patricia’s journey in yoga and in sculpture has been about letting go, and allowing one’s self to become transformed. Today, this woman who describes herself as being “painfully shy” at one point in her life, is now, after twenty years, making her work more accessible to the Bay Area community. After teaching a class at Yoga of Sausalito, Patricia sat with the owner and showed a postcard of one of her pieces in passing. 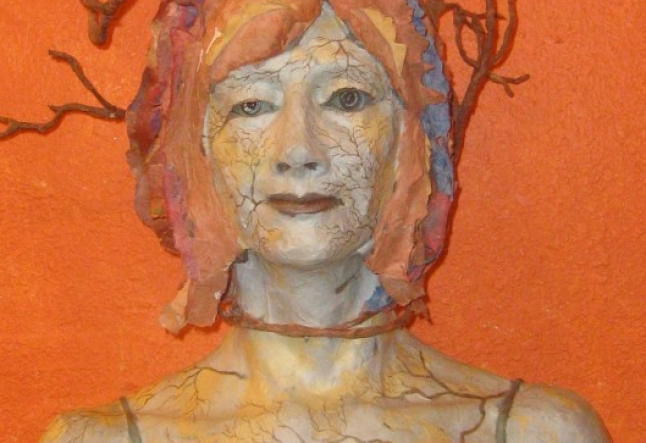 Immediately intrigued by her work, she was asked to feature her sculptures in a Sausalito gallery.